Kids get all the fun on Halloween. They get to dress up as their favorite characters and collect free candy, but with none of the responsibility that comes along with buying or making a costume. If you buy premade costumes for your children, it can be pretty expensive, and they all tend to look the same. To save yourself some cash and do something a little different, DIY is the best way to go. 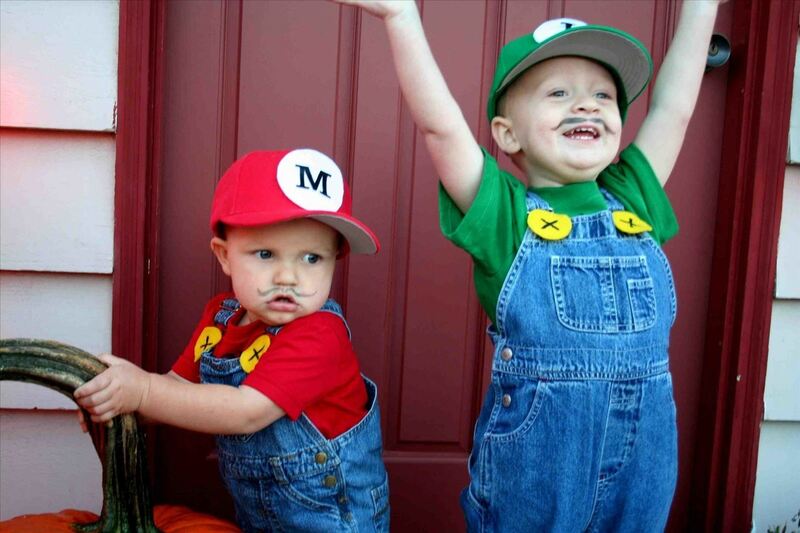 Here are 10 costume ideas for your kids that you can make yourself without breaking the bank. Or at least, inspire you to come up with your own DIY kids' costumes (and if that's the case, please share them with us!). 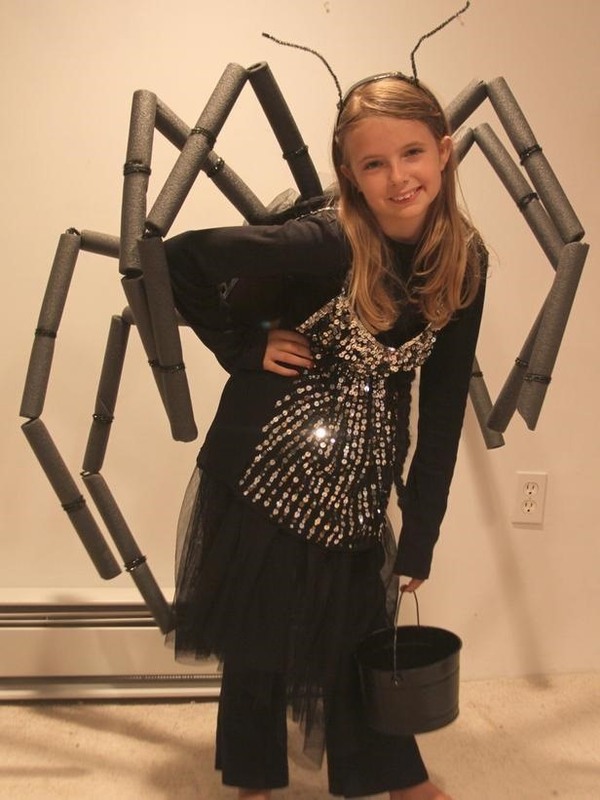 You can make a simple set of spider legs (or any other insect) with pipe cleaners and insulation tubes. If you've got a couple of old pool noodles lying around, you could also spray paint them black instead. Check out the tutorial on DIY Network for instructions. 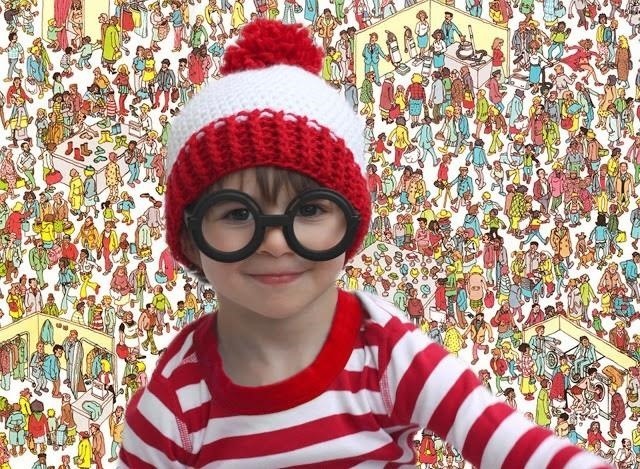 It's 2013, so your kid may not even know who Waldo is, but if you want to go old-school this "Where's Waldo?" costume is really easy to throw together. Just grab a red and white striped shirt and hat, some jeans and a big pair of circle glasses. If you know how to crochet, you can find a pattern for the beanie over on Repeat Crafter Me. 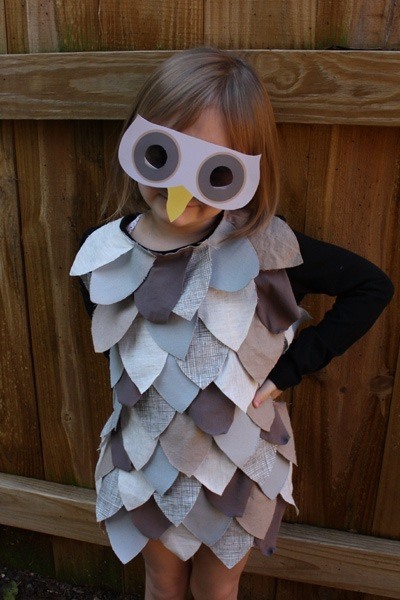 Make a quick and simple owl costume by cutting up fabric scraps and old clothes to make "feathers." Glue them onto an old T-shirt and print out a paper mask and you're all set. You can find the templates for the feathers and mask on Alpha Mom. 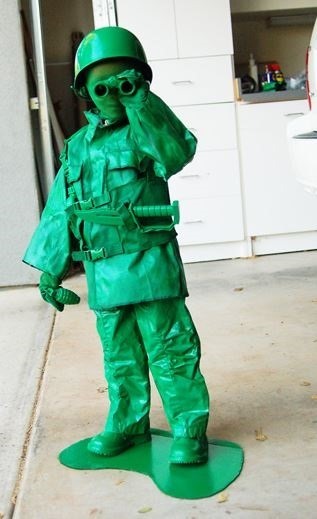 Spray paint an army outfit bright green and add a few accessories for an easy toy soldier costume. For pictures, you can use cardboard to add a base to make it look like the real thing. Head over to Wild Ink Press for more details and photos. A black leotard or body suit and a bunch of cotton balls (or pom poms) make a super simple lamb costume. Just glue the cotton balls on with fabric glue and make some ears out of felt. Check out the tutorial on Parents.com for the how-to. If your kid has an old grey or blue hoodie, you already have most of this one. 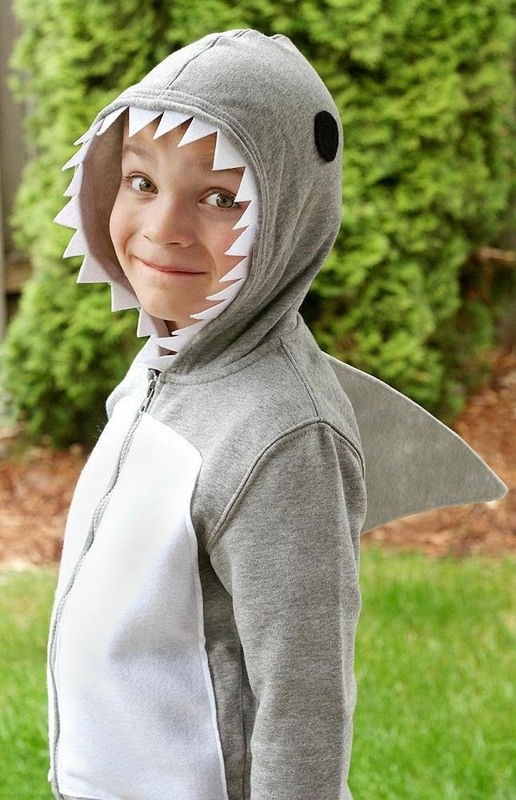 To make an easy shark costume, add eyes, teeth, a fin and a white belly cut out of felt to a sweatsuit (you can sew them or just use fabric glue). Head over to Fiskars for more details. 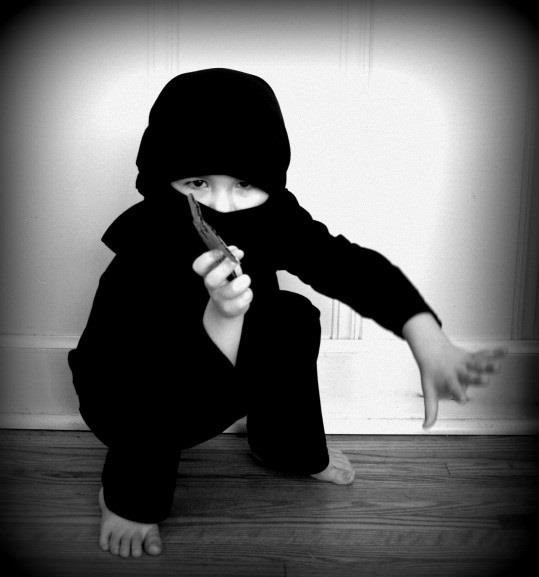 What kid doesn't love ninjas? This costume is just an all-black outfit with a hood made from a t-shirt. Cut out some cardboard throwing starts and spray paint them silver and you're done. The guide and head scarf tutorial are on The Train to Crazy. 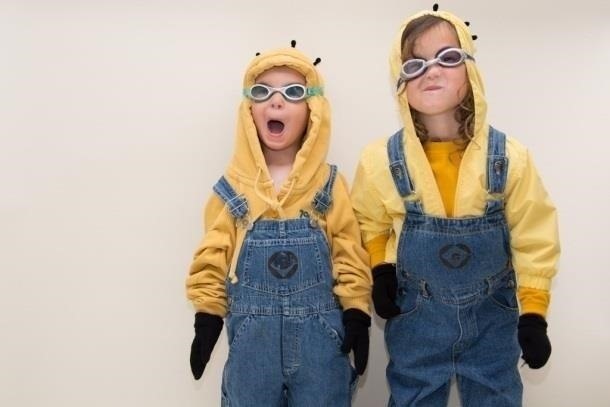 A yellow hoodie, denim overalls, black gloves and swimming goggles are all you need to turn your kid into a Minion from Despicable Me. You could also do a yellow shirt and beanie instead. 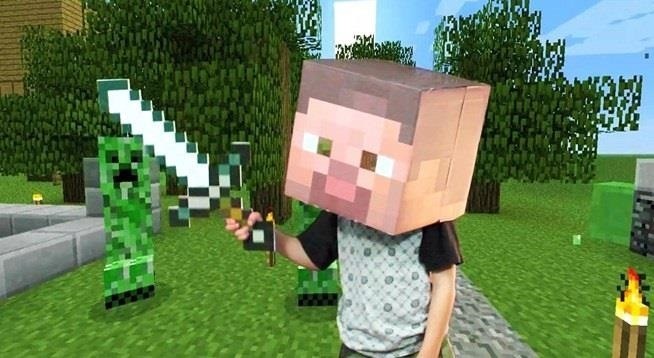 If your kid is a fan of Minecraft, you can make a really easy Steve costume out of a cardboard box and some foam board. You can find the tutorial and printable templates here. If you really need to throw something together quickly, grab some overalls and a green or red shirt and hat for a Mario or Luigi costume. Cut out some yellow felt circles for buttons and draw on a mustache and you're golden. 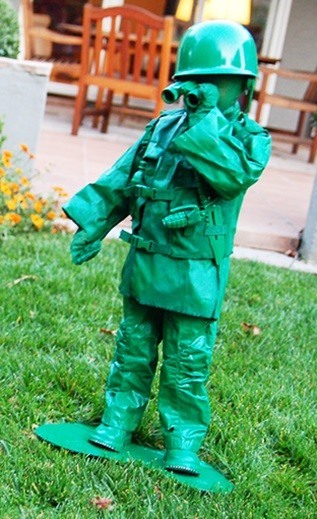 Got another idea for a cheap and easy kid's costume that's not on the list? Let us know in the comments. If you're a fan of Disney's Frozen movie, there are a lot of cheap options for making Princess Anna, Queen Elsa, and Olaf the Snowman costumes for kids.